Many of you out there still have the post-Blizzcon Blues, and unfortunately, I am living with the regret of not going myself, but when you have a family and both spouses work, well, it just doesn’t work out sometimes. The new expansion to WoW, “Warlords of Draenor”, was announced of course, and I’m quite excited about some of the efficiency and flexibility they are adding to the game, especially for those of us who don’t have much time. I’m particularly excited about Garrisons, which will give you access to followers, as your garrison grows over 3 tiers. These followers will be able to go on missions to get you epic gear and materials, along with your expanded farm creating more materials. You get a free 90, and you get a free 90, and everyone who buys the expansion gets a free 90! 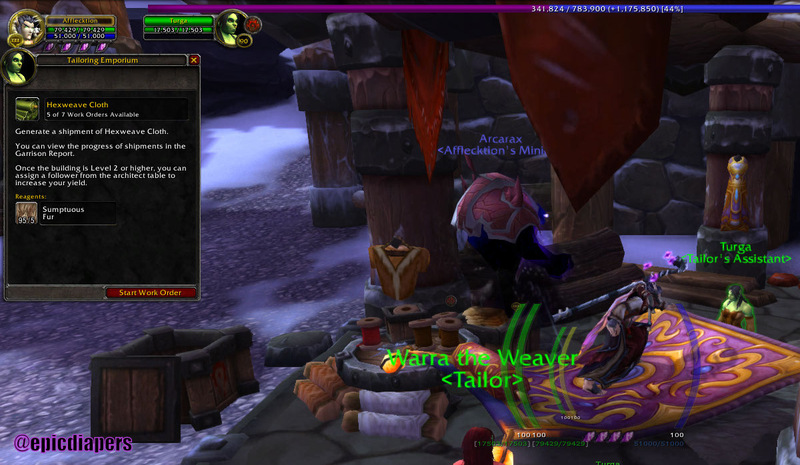 I’d hold off on leveling your lowest alt and wait for the expansion to boost said alt, or even a new level 1 to 90. I wish they’d add a 12th character slot, since my best boost would only be from level 81. Blizzard also hinted that they may offer additional level 90 boosts for purchase. The reason that they should do this is because some players there will just purchase additional expansions for more than one account, then transfer boosted 90s over to their main account. Might as well make it more efficient. More bag space! Blizzard will be increasing stack sizes of many mats to 100, and putting tabards, quest items, heirlooms, toys and tabards into a collection, saving dozens of bag slots. You’ll also be able to craft from items in your bank! So, you can dump many mats in your bank and craft from them anywhere in the world. Remember, you can also hear my segments on The Instance, Rawrcast, The AIE Podcast and Convert to Raid. Episode 42: Check out These Chests! Hey there, it’s Sihx back with more tips for twerking for you lootz on the Timeless Isle in patch 5.4. So, by now you’ve probably exhausted yourself with trying to find every single chest on the island. No, not that kind of chest, but the moss-covered and sturdy varieties that are sprinkled about the island. Well, I have an addon for you that will make sure you locate every single one of these loot pinatas. Just head on over to curse.com and download two addons. First, search for Handy Notes, which is the base addon to populate your mini-map with whatever locations are imported in. 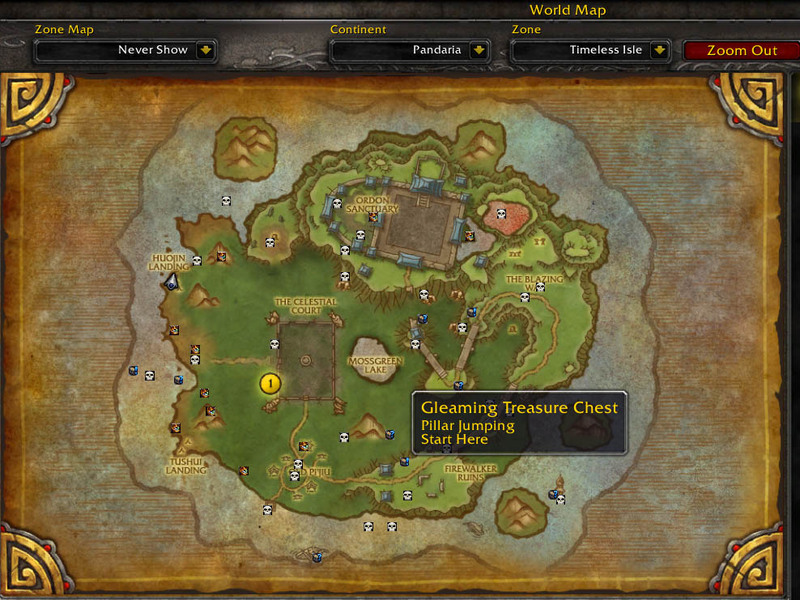 Second, search for one such database of locations, and this is called HandyNotes Timeless Isle Chests. With both of these addons installed and enabled, your mini map and in game map will have the locations of every chest and will differentiate them between one-time, weekly and special chests. Furthermore, each time you open a chest, that location will be removed from your map, so you can whittle it down to the last agonizing few chests that, well, let’s be honest, you may never reach. You’ll be surprised how many chests are still in areas that you walked or rode by countless times, but this will certainly speed up the rate of chest discovery faster than a teenage boy at…(CENCSORED). Episode 41: Patch 5.4 is Here! Patch 5.4 has been out for 3 days now, and I can’t believe they made –REMOVED– the new Warchief! Aside from YouTube spoilers, I’ve had only a couple of hours to run around the Timeless Isle, but so far I like the non-questy, exploration feel to it. The few bread crumb quests that you can pick up are worth it. They’re easy, fast, and give you quite a few timeless coins, the main currency to purchase gear, consumables, and vanity items on the Isle. If you’re an altoholic like me, this Isle is a dream for gearing up your alts. 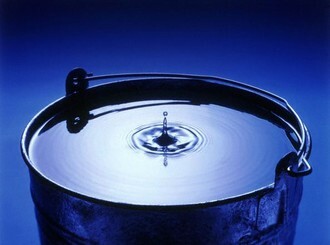 Quite often, you will discover a treasure chest just sitting around, sparkling and stuff. Many times, a token for a piece of ilevel 496 gear will be in there, and here’s the kicker, it’s account-bound. You may also loot these armor tokens randomly off mobs, and of course, there will be a higher percentage drop from rares, which parties are often farming right now. So, if you find, for example, a “Timeless Cloth Helm” armor token, you can send it to your clothie alt, and then convert it into whatever spec-appropriate gear you want for that slot. However, if you just want to gear up your main, you may want to hold onto those armor tokens until you find or purchase a Burden of Eternity. With these puppies, you can upgrade your armor token to ilevel 535. You can loot this once per character from the Blazing Chest near the Ordon Sanctuary. After that, you need to either purchase it for 50,000 timeless coins or get real lucky with a drop. If you’re like me, you have a server(s) full of alts, many near or at level cap. Now that the expansion doldrums have hit, and that I’ve taken the summer off from raiding, I’ve had a little time to level a second toon to 90. So much has changed since I geared up my main, that I really wanted to make the gear acquisition as quick and efficient as possible, so I’ve created a list that also may help you gear up your fresh shiny level 90 toon. The first benchmark is item level 435, which is required for heroic dungeons, the second is 460, which is the requirement for Mogu’shan Vault LFR. So, once that level 90 achievement flashes across your screen, purchase Pandaria flying from the trainer in your faction’s shrine in the VAle of Eternal Blossoms. Next, hop over to Mogu’shan Vaults and do the 2 scenario quests from Loremaster Cho to open up the Barrens weekly quest where you can earn a 489 piece once a week. Also, help the Panda up the mountain in Kun Lai Summit for a pair of 502 boots. 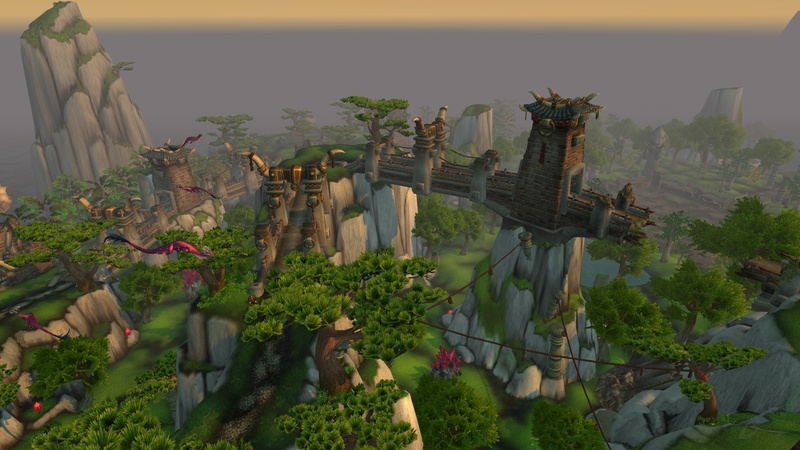 Fly over to the Thunder Isle and open up those solo scenarios and quests, try to get a key to Lei-Shen’s Treasure Trove to drop off an elite, and run that treasure room once a week for tokens. Use those tokens for extra rolls on a Sha of Anger or Galleon kill. If you are still not at 460 after purchasing whatever cheap 458 PVP and other PVE gear that you can from the auction house, run random heroic dungeons and random scenarios ‘til your eyes bleed profusely, while still keeping up with the weekly chores I previously mentioned. You should be LFR’ing your way to purples in no time! Also, if you can wait until patch 5.4, all Pandaria faction gear will no longer require rep to purchase, and it will only require justice points, not valor. So, cap out your JP at 4,000 and get some sweet purple pixels when 5.4 drops.